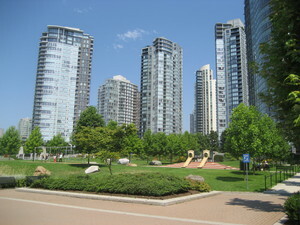 Vancouver skyline. 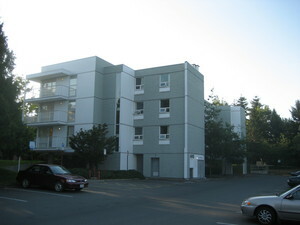 I took this picture when I was in Vancouver shortly after my arrival in Canada. 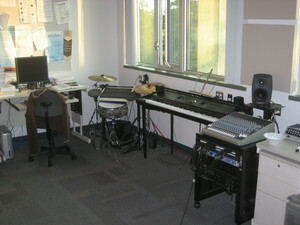 In this building, I have my bedroom. 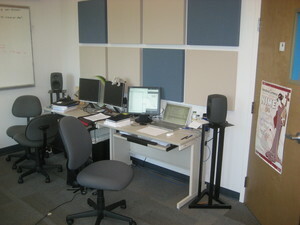 And this is the other side of the room. Some interesting audio equipment Isn’t that nice? 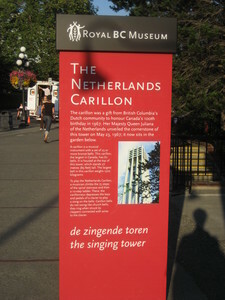 There is a Dutch carillon in Victoria. It was a gift from British Columbia’s Dutch community to honour Canada’s 100th birthday in 1967. Queen Juliana unveiled the cornerstone of the tower. 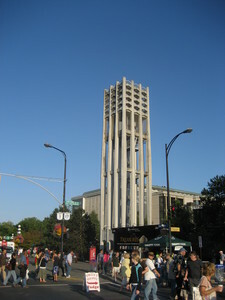 This is the tower the carillon is in. I did not hear it playing, yet.